Hotel Brisas Santa Lucia is located on right on the beach and less than 1 km from the longest barrier reef in Cuba and the world’s second largest called Jardines del Rey. Hotel Brisas Santa Lucia is a spectacular 4 star all-inclusive resort with 400 rooms distributed throughout modern 2 storey dwellings across 32 independent buildings, guaranteeing the utmost in privacy in this fashionable villa layout. Choose between panoramic sea and garden views, each with a plush private balcony. The hotel Brisas Santa Lucia excels in many areas but most of all because of its comprehensive entertainment program covering daytime and evening activities for adults and a mini-club for children. Scooter and Car Rental are available onsite but should be booked in advance wherever possible. You don’t need to stay on your resort either; Brisas Santa Lucia has many local facilities like: A large shopping center at 300 meters from the Hotel grounds. 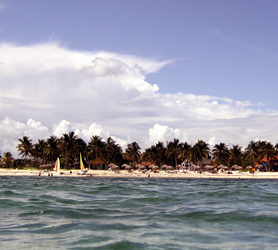 Clinic and pharmacy 3km away and, we must mention the stunning public beaches of Playa Coco (8km) and Playa (12km). The resort also offers various nautical excursions to visit the adjacent Cayo Sabinal and of course, the Jardines del Rey Barrier Reef. Our booking process is unique because it shows the best rate from all of these for Brisas Santa Lucia hotel in Playa Santa Lucia and the types of rooms available. 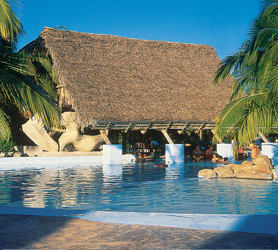 Our Brisas Santa Lucia Playa Santa Lucia rate comparison is an industry first for Cuban Hotels. Once you’ve compared the rates, finalizing the booking at Brisas Santa Lucia Hotel takes just seconds and an immediate confirmation is provided in real-time. 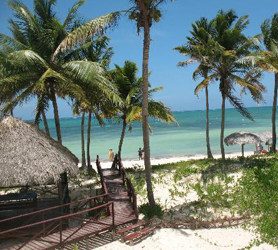 Looking for a Hotel in Santa Lucia Cuba? Below you’ll find complete list of hotels that are actually in Santa Lucia. This list of Hotels in Santa Lucia only includes those hotels which are in Playa Santa Lucia and one hotel 23 km away which is a cheaper option. Booking Santa Lucia Hotels with our Quick Booking program means you can check availability on all Hotels in Santa Lucia Cuba, then compare rates across all suppliers. Booking your Hotel in Santa Lucia is then easy. Choose the hotel, best rate applicable and confirm using any major credit card from any nation. 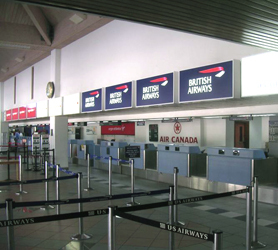 Your credit card WILL NOT be charged until check-in and there is no need to take the credit card used in the booking process with you to Cuba. You are guaranteed the lowest rate on your Santa Lucia Hotel stay along with payment in 32 currencies including USD, Euro, CAD, Yen, and numerous others. The list of Santa Lucia Hotels below is a complete list of every Hotel in Santa Lucia. Immediate confirmation of all Hotels is assured if available right now. Book your hotel in Playa Santa Lucia, lowest rate guaranteed! Viazul Cuba Bus Service is the perfect option to visit Santa Lucia. 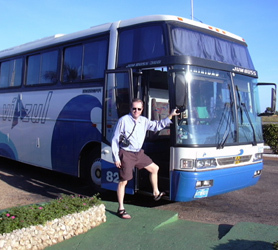 For those of you who don’t wish to Rent a Car to visit Santa Lucia the Viazul bus service will take you across Cuba and to various bus stations close to Santa Lucia in comfort. The ideal route would be to arrive in Camaguey which is just 109 km (68 miles) from Playa Santa Lucia. You can then either rent a car or use a taxi which will cost around 85 CUC one-way. Buses are new air-conditioned models with onboard WC, central TV and lower suitcase compartment. Unless you intend to take the bus the moment you arrive, in most cases there is no need to book in advance as extra buses are added to routes when a particular route becomes overbooked. Simply visit the offices listed below, buy your ticket and travel either that day or any day in the future. The Viazul ticketing service is quick and efficient so usually you can collect a ticket in minutes. Departure times are clearly shown outside each booth. The other bus service is called Astro bus which also visits Camaguey, however although cheaper because it’s charged in Cuban pesos (approx 24 pesos to 1$), the buses are less comfortable and are used by Cubans so they tend to be full on most journeys. The next nearest major airport is Frank País International Airport HOG (MUHG). This airport has international and domestic flights from Holguin Cuba is 57 km from the center of Santa Lucia, Cuba. Another major airport is Carlos Manuel de Céspedes Airport (BYM / MUBY), which has domestic flights from Bayamo Cuba and is 98 km from Santa Lucia, Cuba. Find some hotels in Santa Lucia, Cuba? Car Rental in Cuba at any airport above? Are you looking for cheap flights to Cuba? 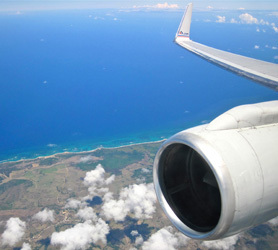 Immediate confirmation of your flight to Santa Lucia Cuba is just 2 clicks away. We also offer a price comparison of all available airlines to any airport in Cuba and Santa Lucia’s Joaquin de Aguero Airport to allow you to get the best flight deals to Cuba right now. Our Cuba flight checker is free and can help you plan your vacation budget. Once you have booked your flight to Santa Lucia Cuba, you can conveniently book your hotel, car rental or any other service on this one website, we are also available on our chat system should you need any personal help with your travel to Cuba or to coordinate your whole trip to Santa Lucia. We also offer VIP arrival services, airport transfers and much more, just ask us on our chat system and well coordinate your whole trip for you! A Casa Particular in Santa Lucia or home stay in Santa Lucia will help you see the two sides of Cuba, its people and their hospitality to tourists plus, the wonders of Santa Lucia’s amazing culture, immersed in one-on-one contact with your Cuban hosts. The closest place you could stay at a Casa Particular would be the town of Nuevitas which is just 20km from Playa Santa Lucia. Rates range from $23 to $35 per night with breakfast included. Learn about Santa Lucia’s rich history, together with true Cuban hospitality. The beauty of Staying in Nuevitas is that you’re a short distance from Camaguey and the island of Cayo Sabinal plus, just 15 minutes drive from the beaches in Santa Lucia. The best of all three worlds! The owners of your casa particular in Santa Lucia speak fluent English and have a profound knowledge of the city and its many sights. Any questions you wish to ask will be answered instantly by the Cuban family you are staying with. Some of our casa particulares also offer meals and drinks, meaning you’ll get to try some authentic Cuban food also. These Casa Particulares in Santa Lucia can be booked online through us. The Santa Lucia Cuba Mobile phone network coverage is very good these days. Some areas of Playa Santa Lucia may offer limited coverage, especially on the road to Cayo Sabinal but, overall, all along the coastline and at all the hotels & resorts it’s very good. Unless you use a US mobile operator it’s more than likely that you will be able to use roaming in Santa Lucia but this can be expensive. Staying connected in Cuba at a better rate will mean obtaining a Cuba SIM Card throughout your stay. Using cell phones in Cuba and Santa Lucia is then much like anywhere else in the world where you can purchase Cubacel prepaid SIM card and use this anywhere in Cuba. You can purchase these prepaid Cuba SIM cards at the offices below and also recharge the phone with credit at these locations. Also, many hotels and stores in Santa Lucia offer prepaid recharge cards should you need to do this on the go. 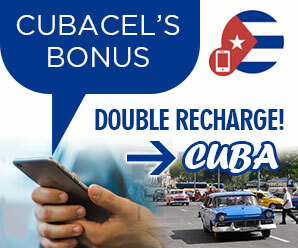 If you have a credit card there are often Cubacel double recharge offers but to obtain these you will need to go on the internet as they are never available directly at Cubacel Offices in Santa Lucia Cuba. GPRS, Mobile Internet & 3G connections can also be used in Santa Lucia Cuba. Cuba offers mobile internet to cell phone users with almost 100% national coverage but, this is more expensive than you are accustomed to and the network can be slower in Santa Lucia Cuba than other countries. If you decide to take your own mobile phone to Santa Lucia Cuba, please be aware that it will need to be unlocked and operate on the 900 to 1800 MHz GSM frequency. Almost all mobile phones produced since 2005 are quad band and as such will work but, please check your owner manual to avoid disappointment. Calle Ignacio Agramonte # 442 Entre López Recio e Independencia, Camagüey. Discover the authentic Cuban city of Camaguey or the island of Cayo Sabinal and many more places, right from Playa Santa Lucia Cuba just by renting a car! 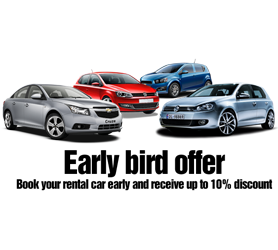 We have some discounted Santa Lucia Car rental offers, from economy cars, right up to the latest 4×4 Jeep models. We also have 7 and 9 seat minivans in Santa Lucia Cuba, perfect for larger groups or families wishing to discover the immediate area surrounding Playa Santa Lucia. Arranging your Cuba Car Hire in advance is crucially important to your trip planning and, by viewing our rates and availability you’ll be able to choose the car that best suits your car rental budget plus ensuring it is ready and waiting on the precise day and time you need it. Reserve your car in Santa Lucia with Havanautos, CubaCAR, REX or Via Rent a Car now to avoid disappointment, unplanned costs or the unavailability of the type of car you needed in Playa Santa Lucia Cuba. Our unique Cuba-One-Way® program also caters for those of you who wish to collect your Cuban rent a car in say Santa Lucia and return it in another city like Havana, ensuring that your exact itinerary starting from Santa Lucia is organized in advance.